In the premortal world you were a member of Heavenly Father’s family. Now you are a member of an additional family, a mortal family. Because of Heavenly Father’s plan of salvation, it is possible for you to become like Him. It is also possible to secure your mortal family in an eternal bond, allowing you to be together as a family after death. This chapter focuses on the importance of individuals and families and their potential in the plan of salvation. As you study this chapter, you will gain a deeper understanding of the eternal significance of the family and its role in Heavenly Father’s plan of salvation. This knowledge will help you lay the foundation for doing family history work and resist worldly efforts to minimize the importance of the family and to disregard individual worth. 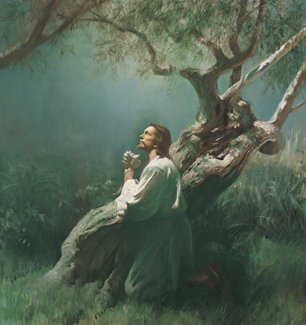 The Atonement of Jesus Christ helps us understand our worth in the sight of God. “Brothers and sisters, never, never underestimate how precious is the one” (in Conference Report, Apr. 2004, 88–89; or Ensign, May 2004, 86–87). “Brother Child closed his scriptures, walked solemnly and quietly up the aisle and back to the stand. As he passed by me, he said, ‘A most profound reply’” (in Conference Report, Apr. 2006, 58; or Ensign, May 2006, 56). “We know from modern revelation that ‘the worth of souls is great in the sight of God’ [D&C 18:10]. We cannot gauge the worth of another soul any more than we can measure the span of the universe. Every person we meet is a VIP [very important person] to our Heavenly Father. Once we understand that, we can begin to understand how we should treat our fellowmen. “One woman who had been through years of trial and sorrow said through her tears, ‘I have come to realize that I am like an old 20-dollar bill﻿—crumpled, torn, dirty, abused, and scarred. But I am still a 20-dollar bill. I am worth something. Even though I may not look like much and even though I have been battered and used, I am still worth the full 20 dollars’” (in Conference Report, Apr. 2010, 70; or Ensign, May 2010, 69). “What occurred in this first estate is dimly understood, but we do know that we lived there as spirits, children of our Heavenly Father, and we made certain steps of advancement to prepare for the opportunity of housing our eternal spirits in earthly bodies. We also know that our Father held a great council to explain the purpose of earth life. We had the opportunity of accepting or rejecting the plan of salvation. It was not forced upon us. The essence of the plan was that man would have an opportunity of working out his own salvation on earth, with God’s help. A leader was selected to teach us how to follow the plan and to redeem us from sin and death. As the Lord explained to Moses, ‘Behold, my Beloved Son, which was my Beloved and Chosen from the beginning, said unto me﻿—Father, thy will be done, and the glory be thine forever’ (Moses 4:2). “Jesus Christ, our Elder Brother, became the leader in advocating the plan designed by the Father, and we accepted the plan and its conditions. With that choice we earned the right to come to earth and enter our second estate” (in Conference Report, Oct. 2006, 74; or Ensign, Nov. 2006, 70). “There is no way to make sense out of life without a knowledge of the doctrine of premortal life. “The idea that mortal birth is the beginning is preposterous. There is no way to explain life if you believe that. “The notion that life ends with mortal death is ridiculous. There is no way to face life if you believe that. “When we understand the doctrine of premortal life, then things fit together and make sense. We then know that little boys and little girls are not monkeys, nor are their parents, nor were theirs, to the very beginning generation. “We are the children of God, created in his image. “Our child-parent relationship to God is clear. “The purpose for the creation of this earth is clear. “The testing that comes in mortality is clear. “The need for a redeemer is clear” (in Conference Report, Oct. 1983, 22; or Ensign, Nov. 1983, 18). In the premortal world we all lived as beloved spirit children of Heavenly Father. Elder Dallin H. Oaks of the Quorum of the Twelve Apostles explained that we began our existence as children of heavenly parents: “The gospel teaches us that we are the spirit children of heavenly parents. 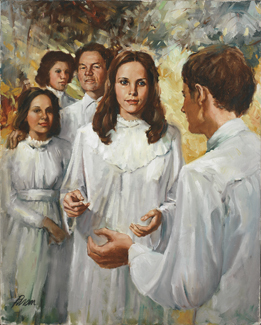 Before our mortal birth we had ‘a pre-existent, spiritual personality, as the sons and daughters of the Eternal Father’ (statement of the First Presidency, Improvement Era, Mar. 1912, p. 417; also see Jeremiah 1:5)” (in Conference Report, Oct. 1993, 96; or Ensign, Nov. 1993, 72). 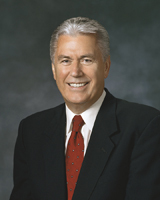 Elder Bruce R. McConkie (1915–85) of the Quorum of the Twelve Apostles added these details about our premortal family: “We worship the great God who created the universe. He is our Father in heaven. We came into being because of him; we are his spirit children. We dwelt with him in a premortal life in a family relationship. We knew him as intimately and as well as we know our mortal fathers in this sphere of existence” (How to Worship, Brigham Young University Speeches of the Year [July 20, 1971], 2). “From the earliest beginnings, God established the family and made it eternal” (in Conference Report, Oct. 1996, 86; or Ensign, Nov. 1996, 64). Elder Richard G. Scott of the Quorum of the Twelve Apostles spoke of our anticipation and joy at the prospect of being born into a family in mortality: “You anticipated being born into a home where parents would be expected to love, nurture, strengthen, and teach you truths. You knew that in time you would have the opportunity to form your own eternal family as husband or wife, father or mother. Oh, how you must have rejoiced at that prospect” (in Conference Report, Apr. 2001, 5; or Ensign, May 2001, 6). In the premortal world we knew that it was necessary to receive a physical body and experience mortality in order to progress toward becoming like our Heavenly Father. Elder Dallin H. Oaks explained: “We had progressed as far as we could without a physical body and an experience in mortality. To realize a fulness of joy, we had to prove our willingness to keep the commandments of God in a circumstance where we had no memory of what preceded our mortal birth” (in Conference Report, Oct. 1993, 97; or Ensign, Nov. 1993, 72). President Spencer W. Kimball (1895–1985) explained that in the premortal world we were each willing to come to the earth to be tested: “We knew before we were born that we were coming to the earth for bodies and experience and that we would have joys and sorrows, ease and pain, comforts and hardships, health and sickness, successes and disappointments, and we knew also that after a period of life we would die. We accepted all these eventualities with a glad heart, eager to accept both the favorable and unfavorable. We eagerly accepted the chance to come earthward even though it might be for only a day or a year. Perhaps we were not so much concerned whether we should die of disease, of accident, or of senility. 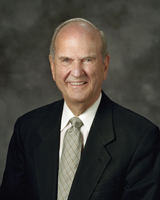 We were willing to take life as it came and as we might organize and control it” (Teachings of Presidents of the Church: Spencer W. Kimball , 20). “One of the most exhilarating moments of your life﻿—when you were filled with anticipation, excitement, and gratitude﻿—you are not able to remember. That experience occurred in the premortal life when you were informed that finally your time had come to leave the spirit world to dwell on earth with a mortal body. “You knew you could learn through personal experience the lessons that would bring happiness on earth﻿—lessons that would eventually lead you to exaltation and eternal life as a glorified, celestial being in the presence of your Holy Father and His Beloved Son. “You understood that there would be challenges, for you would live in an environment of both righteous and evil influences. Yet surely you resolved that no matter what the cost, no matter what the effort, suffering, and testing, you would return victorious. “You had been reserved to come when the fulness of the gospel is on earth. You arrived when His Church and the priesthood authority to perform the sacred temple ordinances are in place” (in Conference Report, Apr. 2001, 5; or Ensign, May 2001, 6). “In The Church of Jesus Christ of Latter-day Saints, we have a theology of the family that is based on the Creation, the Fall, and the Atonement. The Creation of the earth provided a place where families could live. God created a man and a woman who were the two essential halves of a family. It was part of Heavenly Father’s plan that Adam and Eve be sealed and form an eternal family. “The Fall provided a way for the family to grow. Adam and Eve were family leaders who chose to have a mortal experience. The Fall made it possible for them to have sons and daughters. “The Atonement allows for the family to be sealed together eternally. It allows for families to have eternal growth and perfection. The plan of happiness, also called the plan of salvation, was a plan created for families” (“Teaching the Doctrine of the Family,” Ensign, Mar. 2011, 12). We all eagerly awaited birth into a mortal family. “I have studied much in the scriptures and have taught from them. I have read much from what the prophets and apostles have spoken. They have had a profound influence upon me as a man and as a father. “But most of what I know about how our Father in Heaven really feels about us, His children, I have learned from the way I feel about my wife and my children and their children. This I have learned at home. I have learned it from my parents and from my wife’s parents, from my beloved wife and from my children, and I can therefore testify of a loving Heavenly Father and of a redeeming Lord” (in Conference Report, Oct. 1998, 30; or Ensign, Nov. 1998, 24). President Gordon B. Hinckley (1910–2008) emphasized the central nature of the family by pointing out that our greatest happiness and joy comes through families: “God is the designer of the family. He intended that the greatest of happiness, the most satisfying aspects of life, the deepest joys should come in our associations together and our concerns one for another as fathers and mothers and children” (in Conference Report, Apr. 1991, 98; or Ensign, May 1991, 74). “I hope … you understand why we talk about the pattern, the ideal, of marriage and family when we know full well that not everyone now lives in that ideal circumstance. It is precisely because many don’t have, or perhaps have never even seen, that ideal and because some cultural forces steadily move us away from that ideal, that we speak about what our Father in Heaven wishes for us in His eternal plan for His children. “Individual adaptations have to be made as marital status and family circumstances differ. 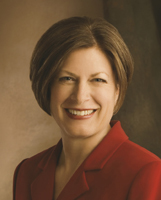 But all of us can agree on the pattern as it comes from God, and we can strive for its realization the best way we can” (“General Patterns and Specific Lives,” Worldwide Leadership Training Meeting, Feb. 9, 2008, 3). Following physical death, we all enter the spirit world. The Church has published on the Internet this concise explanation of life after death: “From an earthly perspective, physical death may seem like an end, though it is really a step forward in Heavenly Father’s plan. At the time of physical death, your spirit will leave your body and go to the spirit world, where you will continue to learn and progress. In the spirit world, your memories of this life and the knowledge you have gained on Earth will remain with you. “Death will not change your personality or your desire for good or evil. If you choose to follow Jesus Christ during your life on Earth, you will be at peace in the spirit world. Those who choose not to follow Christ and do not repent will be unhappy. “Heavenly Father knew that many of His children would never have an opportunity to learn about Jesus Christ during their lives and that others would choose not to follow Him. Because He loves His children and is just, God provided a way for those in the spirit world to learn about His plan, have faith in Jesus Christ, and repent. Those who choose to accept and follow Jesus Christ will have peace and rest. “Sometime after your death, your spirit and your body will be reunited﻿—never to be separated again. This reuniting is called resurrection, and it was made possible by the death and Resurrection of Jesus Christ. 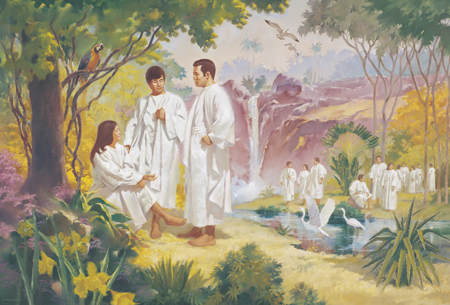 You will remain in the spirit world until you are resurrected” (“Life after Death,” http://old.mormon.org/mormonorg/eng/basic-beliefs/heavenly-father-s-plan-of-happiness/life-after-death; see also The Plan of Salvation [pamphlet, 2005], 12). The First Presidency and the Quorum of the Twelve Apostles declared the doctrine of the eternal nature of the family: “The divine plan of happiness enables family relationships to be perpetuated beyond the grave. 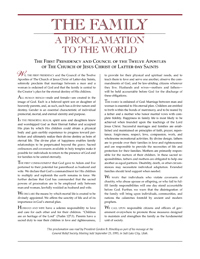 Sacred ordinances and covenants available in holy temples make it possible for individuals to return to the presence of God and for families to be united eternally” (“The Family: A Proclamation to the World,” Ensign, Nov. 2010, 129). “Are all our sympathies and love for each other only temporary﻿—to be lost in death? No! Can family life endure beyond this period of mortal probation? Yes! God has revealed the eternal nature of celestial marriage and the family as the source of our greatest joy. “Brethren and sisters, material possessions and honors of the world do not endure. But your union as wife, husband, and family can. The only duration of family life that satisfies the loftiest longings of the human soul is forever. No sacrifice is too great to have the blessings of an eternal marriage. To qualify, one needs only to deny oneself of ungodliness and honor the ordinances of the temple. By making and keeping sacred temple covenants, we evidence our love for God, for our companion, and our real regard for our posterity﻿—even those yet unborn. 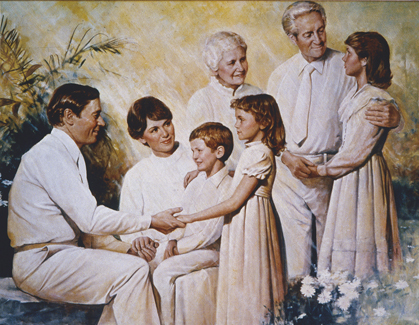 Our family is the focus of our greatest work and joy in this life; so will it be throughout all eternity” (in Conference Report, Oct. 2001, 86; or Ensign, Nov. 2001, 71). 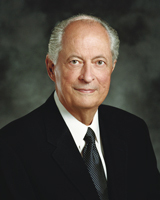 President James E. Faust (1920–2007) of the First Presidency taught that making and keeping covenants is essential for families to continue in the next life: “We believe that families may continue in the next life if they have kept the special covenants made in one of the sacred temples under the authority of God. We believe that our deceased ancestors can also be eternally united with their families when we make covenants in their behalf in the temples. Our deceased forebears may accept these covenants, if they choose to do so, in the spirit world” (in Conference Report, Oct. 2003, 58; or Ensign, Nov. 2003, 54). Families are meant to be eternal. “… We can picture ourselves as we were [in our premortal life], for longer than we can imagine, sons and daughters associating in our heavenly home with Parents who knew and loved us. … But now that we are here [on earth] we can picture ourselves home again with our Heavenly Parents in that wonderful place, not only as sons and daughters but as husbands and wives, fathers and mothers, grandfathers and grandmothers, grandsons and granddaughters, bound together forever in loving families” (“The Family,” Ensign, Feb. 1998, 10, 12–13). How does knowing that you are a child of Heavenly Father and part of an eternal family affect your sense of self-worth? How does the view of the family according to the plan of happiness compare with the world’s view? What happy or sacred experiences have you had in your family that have helped you to know that the greatest happiness available in mortality and in eternity comes in family relationships? Draw a simple diagram (with labels) outlining our journey from premortality through the Resurrection. Briefly write about how the family is central to premortal life, mortal life, life in the spirit world, and resurrection and the degrees of heavenly glory. Visit with and express your appreciation to your father, mother, or other family member. “Death, Physical,” True to the Faith: A Gospel Reference (2004), 46–47. “Plan of Salvation,” True to the Faith, 115–17.